(January 16, 2017) Charlotte-Mecklenburg Police Department Chief Kerr Putney will be the featured speaker at the 2017 meeting of the Steele Creek Residents Association on Thursday evening, February 23 at Christ the King Church (13501 South Tryon St). There will be a pre-meeting from 6:30 to 7:00 when attendees can meet, mingle, and learn about over a dozen non-profit groups and local government agencies that will have displays with information about their services and programs. Chief Kerr Putney of the Charlotte-Mecklenburg Police Department will be the featured speaker. The Police Department has been placing an emphasis on improving community relations. Robert Cook, Charlotte Regional Transportation Planning Organization (CRTPO) Secretary, will give an update on the status of the planed improvements to State Highway 160 (Steele Creek Road) and other projects. 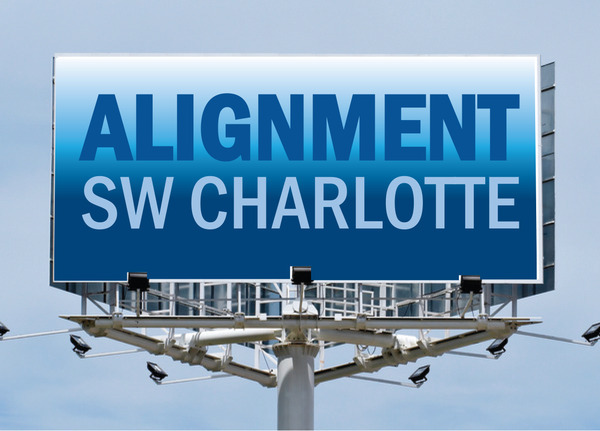 Alignment Southwest Charlotte has been promoting partnerships between area schools and local businesses, churches, and other organizations. Three principals will highlight some of the accomplishments of their schools: Merita Little of Steele Creek Elementary School, Kevin Sudimack of Kennedy Middle School, and Erik Olejarczyk of TEAM High School at Olympic. 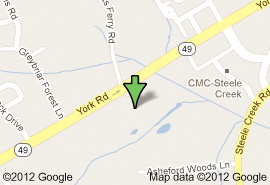 Christ the King Church is located at 13501 South Tryon St, just southwest of CMC-Steele Creek. From the intersection of S Tryon St (Hwy 49) and Steele Creek Rd (Hwy 160), continue southwest on S Tryon St through the traffic signal at Steelecroft Pkwy and past the fire station. Take the next left into the Christ the King parking lot. Enter the building on the left side and continue straight through the vestibule into the meeting room. Click HERE or on the map above to see the location in Google Maps. The Meet and Mingle will continue until 8:30 or as long as folks are interested in staying to talk. Participants in the Meet and Mingle will include Berewick Recreation Center/Wingate Recreation Site, Charlotte Department of Transportation (CDOT). Charlotte Douglas Airport, Charlotte-Mecklenburg Planning Department, Charlotte-Mecklenburg Police Department - Steele Creek Division and Animal Care and Control, Charlotte-Meckelnburg Schools, Charlotte Neighborhood and Business Services, Gordon-Conwell Theological Seminary, Lake Wylie Covekeepers/Catawba Riverkeeper Foundation, McDowell Nature Center, North Carolina Department of Transportation (NCDOT), Palisades Episcopal School, Steele Creek Athletic Association, Steele Creek Library, Steele Creek Presbyterian Church, and Steele Creek YMCA. Click on this link to read about the 2016 meeting: Elections and Roads Highlighted at 2016 Residente Association Annual Meeting. Although attendees can sign up for membership in the Residents Association (for $10), membership is not required for attendance. Everyone interested in Steele Creek is welcome. You may also mail your dues to PO Box 38628, Charlotte NC 28278. This will be a great opportunity to learn more about what's going on in Steele Creek and catch up with folks you may not have seen for a while.